Will Fans Find All Your Updates In The New Pages Feed? Facebook is testing these 5 new features, will they make you more visible to your fans? Facebook has been criticized for its EdgeRank algorithm and constantly altered post reach, but it seems to be addressing these problems with new features that are currently being tested. 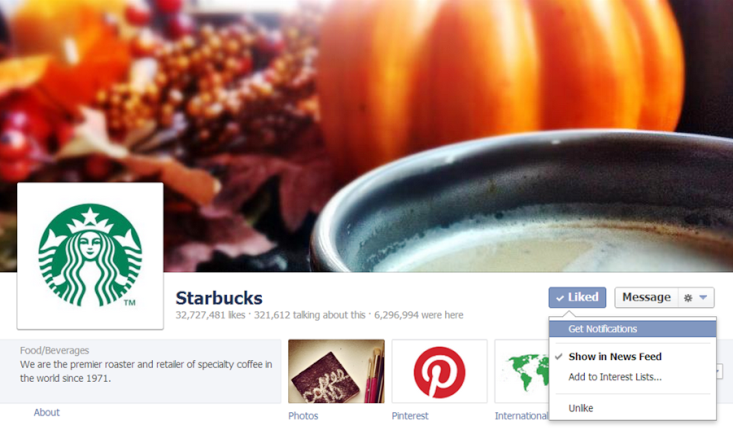 The social network wants to make page posts more visible to Facebook users thanks to an opt-in option and a new Pages feed dedicated to brand updates. Threaded discussions should make your conversations more effective and free wi-fi for check-ins seems to be an interesting concept. But check it out for yourself! Lately, Facebook users and brands have been complaining about the EdgeRank algorithm limiting the post reach, sometimes even the overall visibility of the page in the newsfeeds. Users are worried that they will miss interesting promotions and offers while marketers are concerned about not reaching their audience. Now it seems that users will have everything in their hands as they will be able opt-in to see all the page posts from brands they care about in their desktop and mobile newsfeeds. Some users already have the chance to do so by mousing over the page´s Liked button and selecting the "get notifications” option. In the future, people should be able to receive notifications from specific pages, friends or public figures that they are connected to and wish to be connected to even more. Although, some people are worried that brands will post too often and they will receive notifications every minute. In this case they would rather prefer an opt-out option. Facebook is also testing threaded discussions under comments on Pages which provides you with the option to reply to individual comments instead of the original post. According to the last reports, users should be notified if someone responds to their comments, but it’s only being tested on Pages, not personal profiles at this time. This should make your conversations with fans and customers more organized and effective. 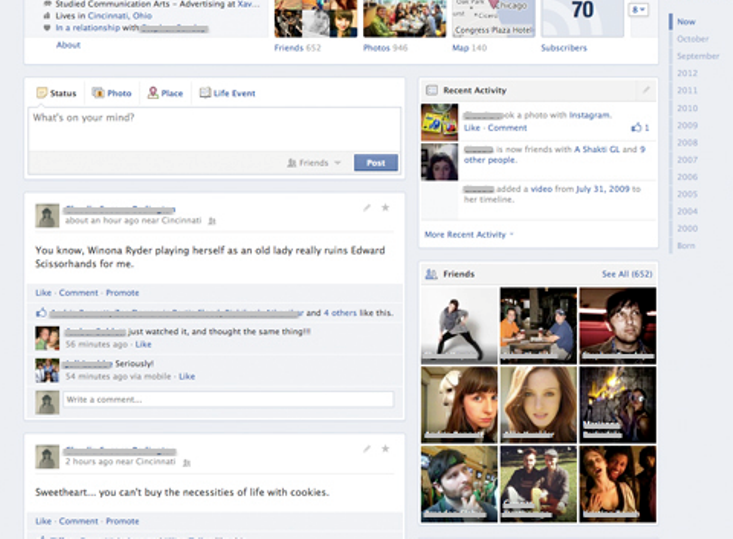 Have you heard the rumors about Facebook switching to a single-column format? According to Inside Facebook, the social network is testing a new, sleeker timeline design for selected users mainly because people have been complaining about the frustrating two-column layout forcing them to scroll up and down to read their stream. Now the timeline should look less like a timeline with a wider post stream on the left and a narrow column on the right for activity modules (like recent activity, friends, places and Open Graph apps). And once there are no more modules to show, the timeline should appear blank rather than filling in with status updates and wall posts. It has also been reported that life events and other highlighted posts don’t stretch across the page after being starred. Now they should get a blue banner in the corner but remain the same size as standard posts. This layout hasn’t been tested on brand pages yet, but what would it mean for your brand? Do you consider highlighted posts as one of your main marketing tools? Facebook is testing a new service that allows local businesses to offer customers free Wi-Fi after checking in on the social network. Facebook is supplying the router while businesses are providing the internet access. After a person checks into a location via Facebook, he/she is redirected to the business´s Facebook Page and can continue to browse the web for free. Pages will then be able to track how many new Likes they received from their "social wifi” in the "Like sources” section of the Insights API. Social media and email can be used as stand-alone strategies in your business. However, leveraging them in conjunction through social media and email marketing integration will help you attain even more benefits: from extending the reach of your campaigns to recognizing the industry stalwarts, and getting more subscribers on your list.